The transformative energectic inspiration of girls and women is undeniable. It is time for compatible partners to invest wisely, invest together, and invest often in organizations with missions and visions reflecting their own agenda. Funding for girls and women is particularly lacking in business, banking, financial services, social welfare services, building shelters, and funding projects and on and on. Far to many nonprofits, associations and nongovernment organizations are struggling to support the actions and causes they have invested in. At QSV aiding humanity organization we invest in ourselves and mirror the change we want to see in other like-minded women who want to make a impact and a difference in their countries and communities. Partnerships domestic and international one step at a time. When did you first visit Senegal and where do you currently live? I first traveled to Senegal in 2004. The first place I lived was the Kaolack Medina Baye region. I’ve also visited and served in many surrounding villages and suburbs throughout Senegal. However, I currently live in Dakar. How did you end up moving to Senegal? Shaykh Assane Cisse is my late Senegalese husband. He first invited me to Senegal after visiting me in the U.S. Then, in 2004, I made my first visit to Senegal. I ended up making several visits over the years. However, I did not permanently move there until my husband passed away in 2008. Personally, Senegal is my ancestral home by way of my beloved great-grandmother Sayida Ada Maryam and grandmother Sayida Iretta Brown, both Louisiana natives. These elders passed down stories about our Senegalese lineage over the years. So, spiritually I feel home in Senegal. So, what was it was like moving to Senegal?! Migrating to Senegal felt like home because it was a dream I’d had since childhood. Still, I had to adjust to the culture, climate, and languages of the country. Visiting Africa for the first time is very gratifying. You’ve come home to the birthplace of humanity. It’s a blessing no matter where you visit on this continent. It’s a very proud and humbling experience. I am thankful for moving here under my late husband’s invitation. It definitely made my physical and psychological transition easy. However, there were definitely emotional issues and concerns that I dealt with just as any new venture. What kind of professional and entrepreneurial opportunities have you noticed in Senegal for foreigners? I see many foreigners involved in nonprofit work, like myself. Many also come to volunteer in the field of education. Foreign entrepreneurs also own farmer’s markets, stores, and supermarket. Boutiques are increasingly popular. Dakar, Senegal’s capital, has over 20,000 boutique stores alone. Foreigners from the U.S. and Europe own many. Their businesses are definitely plentiful in this small but booming Teranga (land of hospitality)! People consume a lot of imported products in Senegal. So, creating something unique here would be appreciated. Once you have your feet planted firmly on the ground contribute your talent and skills. This is my hope for many African Americans. Giving back to benefit the country and economy is vitally important. You manage a nonprofit in Senegal! Can you tell us about it? 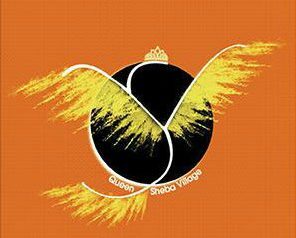 I am the founder and CEO of Queen Sheba Village. It’s a nonprofit centered around women and girls empowerment. A global community of dedicated volunteers run the center. We offer entrepreneurial and educational training. And, we’re established exclusively for charitable and educational purposes. Queen Sheba Village assists impoverished women and children in improving health and hygiene. Our organization also provides school supplies to families unable to afford them. We collaborate with local organizations to eradicate horrific conditions of orphan and begging children. These children are often neglected, abused and exploited. We hope to continue building a global community of resources that is very much needed. Running a nonprofit is time-consuming. However, it’s the best opportunity I’ve ever been involved with. It’s fulfilling despite testing my patience, trust, and faith. We have invitations from all over Senegal and neighboring countries requesting our programs and projects. We also regularly host international visitors. So, if you’re planning a visit to Senegal our doors are open! What does the process of operating a nonprofit in Senegal entail? We had to legalize documents required to operate (Queen Sheba Village was founded in the U.S.). The nonprofit application was like a thick book. Some people fill it out themselves. However, if you don’t understand all of the terminologies definitely hire a lawyer! Starting a nonprofit is not easy or inexpensive. I am constantly learning new things about operating one. What is your everyday and social life like in Senegal? I begin each day here with gratitude to GOD. It’s the foundation of my existence. Basically, everyday life for me involves my service work. Most of my socializing is spent with the very old or the very young. This is because my nonprofit focuses on assisting these two vulnerable groups. I’m multi-tasking several roles. So, I don’t have much of a real social life where I can just chill. During my free time, I’m generally researching ways Queen Sheba Village can serve local communities more effectively. I do enjoy going to a massage therapist from time to time. It’s essential to relieving stress, though with a cup of tea (smiles). How have the Senegalese welcomed you? Senegal is called the land of Teranga—it’s a Wolof word meaning hospitality. And this is a very welcoming country. It’s known for its peace regardless of differences in religion and ethnicity. Senegal is 95% Muslim with the remaining being Christian and animist religions. People here are a very close-knit unit of solidarity. You really come home when you come to Senegal—seriously. Senegal is unique indeed. What do you love the most about living in Senegal? Many parts of Senegalese culture are connected to and remind me of my own upbringing. My American roots are in Alabama and Louisiana. Many Senegalese arrived in the States from Senegal’s Gorée Island during the slave trade. You can still see the remnants of their presence in the American South. For example, the patchwork quilts that you see in African American homes are a reminder of a popular cultural art activity from Senegal. The caring love of family and food is a big thing in both the southern U.S. and in Senegal. The similarities I see are a reminder to me that I have come home. The friendly Senegalese hospitality is also similar to the South. You’ve got to be still and connect the dots, and I continue to marry pieces together like a puzzle. What are the most challenging parts of living there? The most challenging aspect for me has been learning the language—it’s the first thing my husband wanted me to learn. I remember greeting him and he would automatically respond in his native Wolof and expect me to respond in Wolof, catching me off guard (laugh). I am working on my Wolof as fluency will obviously be very beneficial to me. Oh yeah, let me not forget to mention the horrible mosquitoes—yikes! Also, the fact that garbage is not collected in many areas is a challenge. There’s also a mentality that foreigners are here to do what natives supposedly cannot and I find it to be troubling. I think that with perseverance any native can do the same. Can you share a few details on the cost of living in your Dakar community? The kind of lifestyle you want to live. The currency here is the West African CFA franc. Just as in the States, the cost of living is pretty darn expensive in the city. However, the more you move away from the city, the less expensive it is. An average meal could be $5-10. It depends on the number of people eating. Decent rental housing can range from $70 a month to $110 and up (what I would consider expensive!). It also helps to be connected with people who can support you. Otherwise, you can definitely end up ripped off. Many see foreigners as banks! You’re a published author! Can you tell us about your book on traveling in Senegal? Yes! “Return to Glory: A Travel Guide for African Americans Returning to Roots” is my first book. People often ask me what’s it like in Senegal and Africa. So, I decided to write about it. I initially thought of just writing an article. However, I realized I needed to expand the idea into writing my first book. Al Hamdulilah, I was able to publish it with the help of MindWorks Publishing. I think the book is a good resource for traveling. And it works to eradicate the fear of visiting Mother Africa. A lot of that fear comes from Western media. So, people really have to research and educate themselves. “Return to Glory” was also accepted in the Prince George’s County Memorial Library System in Maryland. This was not easy. Every year, thousands of books are rejected! I have three words for our interested readers. BUY THE BOOK! Proceeds help in the construction of The Queen Sheba Village Educational Empowerment Social Center for women and girls in Senegal. Thank you so much. What has being an African American living in Africa taught you? Living here teaches you humility and reinforces gratitude. I have realized that in the West we take much for granted. We become lazy. We waste water and throw out so much food every day. However, Senegal has shown me that less is truly more. My nonprofit work has also revealed to me that women are the educators of the universe. And finally, opportunity can bring creativity. And that can be used as a tool for development. It is us who will restore Africa back to greatness. My people, Africa beckons you to return to glory! Where can we follow your experience? The “Caring Show” is a prestigious pan African talk show for women that airs on the national television network LCF (La Chaine du Future) in Togo, also known as the Togolese Republic in West Africa. The show is an hourly, bimonthly program that places women at the center of public debate. The edition was produced in partnership with the Togolese Diaspora of the USA and was named CARING SHOW – DTUSA. The topics of the two episodes were: 1) The impact of the Diaspora in the economy of Togo, and 2) The role of the Togolese diaspora in the education of young girls in Togo. Queen Sheba, Founder of the Nonprofit Queen Sheba Village organization based in Senegal, West Africa was invited to share information about her mission to improve the conditions of women and girls through providing educational opportunities, workshops, training in micro finance, literacy programs, health & hygiene resources and more. This service seeks to empower women and girls in Senegal while aiding them in making informed decisions for gaining control over vital aspects of their lives such as future education for themselves and future generations. On the continent of Africa the common mutual agreement between the various countries and cultures continues to be that of empowering and investing in girls and women as part of a global solution for us all now and in the future. The show was followed by a dinner reception at Fraser Mansion featuring Togolese dishes. Queen Sheba Village Supports the End of Female Genital Mutilation! Queen Sheba Village focuses on the well being of women and children in rural Senegal, West Africa. Our education, health, and business-building programs help impoverished women become financially independent. We seek to create conditions where small villages are modernized,economically stable and better connected to the Greater Senegal. Queen Sheba Village also advocates for the end of female genital mutilation and is interested in forming partnerships with other organizations that advocate the liberation of women on a global scale. Female Genital Mutilation is a procedure that intentionally alters the female genital organ for non-medical reasons in order to control a woman’s “chastity”. This harmful practice is carried out on young African girls sometimes from infancy and can even be forced on adult women. Anyone who supports the end of the practice can collaborate with QSV in spreading awareness. Join us this Women’s Day and become a member of Queen Sheba Village for life where you too can work towards ending female genital mutilation. In order to continue to advance the rights of Senegalese women and children we are in the process of building our own office headquarters in Senegal. Anyone interested in supporting our building fundraiser may mail a contribution to QSV, Inc. Although our base of operations is in the United States it is vital to have a permanent presence so that Senegalese women and children have constant access to life-changing resources. Feel welcomed to subscribe to our YouTube channel where we upload video clips of the different programs we offer to the women and children of Senegal. Founder Queen Sheba Cisse’s New book, Return To Glory! I first met Sister Queen Sheba D. Cisse nearly eight years ago through Muslimah Writers Alliance (MWA), the internationally based group for Muslim women writers that we both belong to, and I use the word “met” loosely since it was more of a virtual meeting than an actual physical meeting. Nevertheless, the connection was immediate and strong. Sister Sheba, who I affectionately refer to as Umi, is a beautiful force for good in this world, and Allah Ta’aala knows best. Her work with Queen Sheba Village Inc. (QSV) was and remains inspiring. It was uplifting to hear about the works, services and goods that she and her organization provide to villages throughout Senegal. For this reason she often travels between the U.S. and Africa, transporting goods and visiting with her large, global family, and in accordance with her very nurturing spirit, she came up with the idea of writing a travel book. Needless to say, when she approached me for help in publishing, I was all for it! And al-hamdulilah, the book is now a reality! Return to Glory: A Travel Guide For African Americans Returning To Roots is more than just a travel guide, it’s an invitation to African Americans, the descendants of the displaced by the Trans-Atlantic Slave Trade, and to all people of various cultures and ethnicities, to return to their place of birth – the cradle of humanity. Sister Sheba extends her hand, and shares her experience with the readers, leading us along the journey home with wisdom, humor, expertise and warmth. In this introduction to the country of Senegal, you will discover the language, food and culture of the land while receiving a crash course in travel rules and etiquette. Fasten your seat belts and enjoy the trip! Return to Glory: A Travel Guide for African Americans Returning to Roots is a book that has been written with joy because it acknowledges our ancestors that have played an important role in our spiritual growth as a people. We believe that the ancestors are alive in another dimension and that they play an important role for us, whether it be through angelic mentorship or as spiritual advisors. It was important for me to honor the souls who have paved the way for me to return to the African continent. Much more than a mere travel guide, Return to Glory offers a wide range of information about travelling to the African continent, particularly to Senegal. You can learn about Senegalese culture and cuisine, get advice about what to pack and how to prepare for the journey, and receive a first-hand account of what it is like to return to the Motherland. The travel guide is also filled with vibrant photographs and beautiful illustrations that transport the reader to a land that he or she may not have had the opportunity to see before. Queen Sheba D. Cisse believes that humanity is Africa and invites the readers to join her in respectfully glorifying our humble beginnings. During these challenging modern times, many are struggling with race relations and identity, and large segments of people of African descent are seeking solutions to the particular challenges that they are experiencing. The topics presented within the book propel individuals to look within: until you know where you come from, there is no way of knowing where you are going. Return to Glory fulfills a sense of purpose. Queen Sheba D. Cisse is often asked about her travels to Africa and what’s it’s like there. Her response is to plan to visit for yourself, without hesitation or fear. She hopes that Return to Glory will inspire many to embrace a homeland that is welcoming and spiritual fulfilling. Queen Sheba Village, Inc. organization is a licensed non-profit in the state of Maryland, USA. We also collect and distribute gifts and items in-kind, such as school supplies to bring to the children of Senegal.